One of the greatest innovations of modern dentistry, invisible braces are designed for adults or adolescents who are struggling with misaligned teeth. We know the importance of having a beautiful smile, even while your teeth are being straightened. That is why invisible braces are a great alternative to traditional metal braces. Invisible braces include all cosmetic type of braces. Some are clear as for example ceramic braces. Since they tend to blend with the color of your teeth, only the wire part is then visible. Invisalign is another option, even less visible. 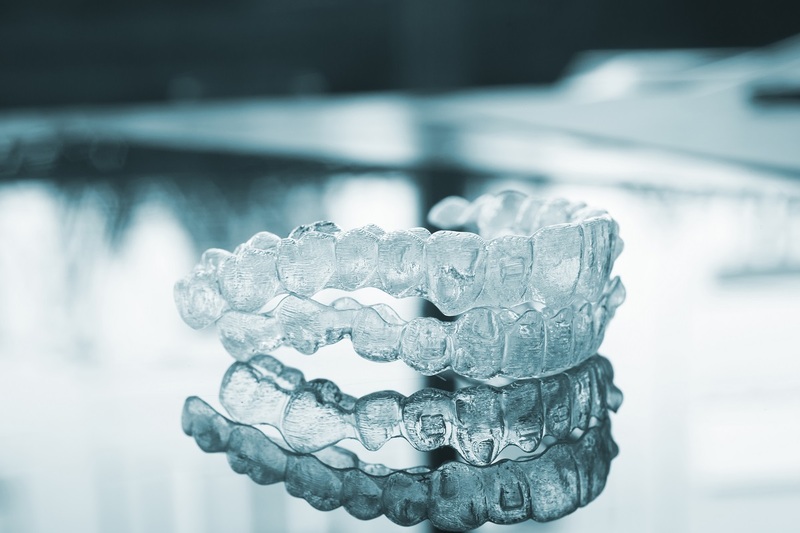 It consist of a clear shell that covers you teeth and slowly moves your teeth as you change your aligners during the treatment. Some attachments are used to achieve more complex movement and they consist in small clear “bumps” that are temporarily “glued” on your teeth. These will be removed at the end. These small additions tend to however make the whole appliance slightly more visible. Finally, the real and only fully invisible braces are the Hidden braces or as we refer to in the dental field, the lingual braces(beside the tongue). They are fully invisible since they sit on the inside of your teeth! With these, all orthodontic treatment are possible and they work as well as the regular braces. In the past, when first introduced, they were given the bad reputation of taking longer but this concept has changed with the newer technology. These braces, also called Incognito braces, Harmony braces and the Suresmile lingual braces, are extremely precise and use fully custom made wires that are robotically bend. Meet with Dr. Andrea Picard for a treatment consultation.